For more details of what is included in vOneCloud 3.2.1, check the Release Notes. We’ve been working on making Virtual Network self-provisioning easier, by allowing end-users to create their own networks from pre-defined network templates. We are making continued progress on the LXD drivers, and getting them in shape for version 5.8. Very soon vCenter users will be able to download any appliance from the Marketplace. OpenNebula datastore drivers will take care of any image conversion required. Lastly, King has “Funded a Feature” through our FaF program – this one allowing Virtual Machines to define automatic network selection for their NICs. The scheduler will pick the best Virtual Network at deployment time. This will simplify the VM Template management, as it will reduce the overall number of templates needed. Across the OpenNebula User Community, we continue to see interesting and important conversation and discussion. Leboncoin posted a thorough overview on their own blog of their infrastructure needs – including High Availability and Production stability – along with details on how their choice of using OpenNebula has helped them to successfully build and manage their own IaaS environment. Take a moment to read the article. Nodeweaver posted that they have an update being prepared to allow for single-click deployment of their Terraformer VM which integrates Ansible and Terraform to manage OpenNebula resources. Along with this, in the near future, expect to see the VM available for use in the OpenNebula Marketplace. Easy deployment of highly available images. LINBIT will be leading the effort to create this as an OpenNebula Add-On, so “keep your eyes peeled”. Though more generic, here’s a quick reference to an interesting article about the ongoing transformation of Data Centers. And lastly, as we communicated late in September, OpenNebula released an initial prototype, (with source code and packages available at the OpenNebula GitHub), for Host Provisioning. We continue to develop this set of capabilities. In the meantime, we published a Blog post reviewing a practical exercise we carried out using this Host Provisioning feature to demonstrate its value as the case for Edge Computing continues to grow. October is a long month, and we have been busy, but mostly with our sights set on November! We’ve put in a great amount of planning into this year’s OpenNebula Conference 2018, which is scheduled for November 12-13 in Amsterdam. We have a great agenda of speakers lined up, with Hands-on tutorials, and plenty of opportunity to network, share, and discuss with experts and practitioners in the cloud community. We look forward to seeing many of you in Amsterdam. For those who cannot attend, we will be providing updates, presentation documents, and videos from the #OpenNebulaConf. In addition, OpenNebula will be attending the VMworld Europe Conference in Barcelona from November 5-8. We’ll be there ready to showcase OpenNebula’s integration with VMware Cloud on AWS, along with the new features of both OpenNebula 5.6 and vOneCloud 3.2.1. Be sure to swing by booth #E422! Soon enough, 2019 will be here. Start thinking about hosting an OpenNebula TechDay! We’ll see you in November! Stay Connected! This upcoming November 5-8, VMworld 2018 will be held in Barcelona. This is a must-attend event where anyone with an interest in virtualization and cloud computing will be in attendance, networking with industry experts. The OpenNebula team will be there in Barcelona, ready to showcase OpenNebula’s integration with VMware Cloud on AWS, as well as, the new features of both OpenNebula 5.6 and vOneCloud 3.2.1. Join us in Barcelona, make sure to register, and don’t forget to stop by our booth, E422. We can provide a live-demo of how a VMware-based infrastructure can be easily turned into a cloud, with a fully-functional self-service portal – all in the matter of minutes! At the same time, we will be available to answer any questions you may have, and discuss ongoing developments. We hope to see you there! We’ve seen over the last several years the explosive value brought to the market of cloud computing, and the ever-growing shift toward establishing centralized data centers to support all scales of business processing. The cloud infrastructure of today has provided an extremely effective and economical platform for flexing with the persistent need for increased storage and computing for businesses. With the rapid growth of data, comes the corresponding growth for the need to process that data. Up until now, the modern paradigm has been to have the swift and agile ability to grow one’s data center to handle that growing need for processing power. 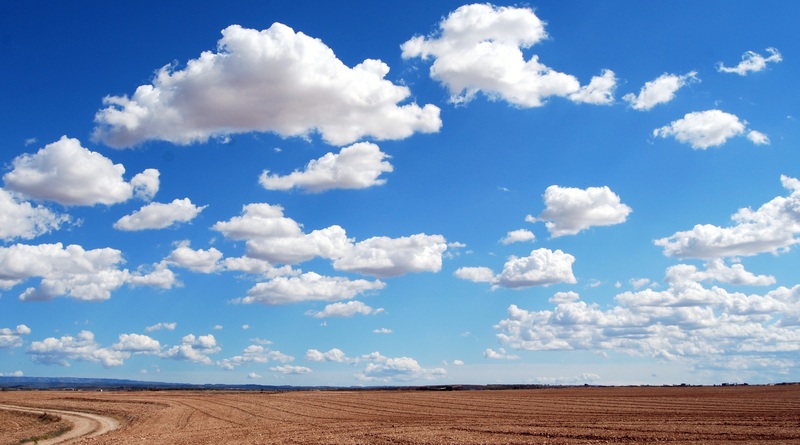 Virtualized Data Centers and Cloud infrastructures have been foundational tools. However, with the Internet of Things (IoT) and the forthcoming explosion of “everything connected”, we are seeing that the centralized Cloud infrastructure, on its own, will not be a silver bullet. These mobile devices, which ironically enough, we continue to call “phones”, continue to evolve, providing an ever-growing range of capabilities and a burgeoning power to compute and process. Homes, offices, public buildings, and automobiles are now collecting and generating huge amounts of data, which as we walk by with our phones, or drive by in our automobiles, we’ll have the need and expectation for a much more complete, and almost inherent, interaction. And this is where the current cloud model falls short. As this explosion of connected data and IoT grows, and interactions between things need to almost mimic human-nature, the basic paradigm shifts from a need to scale, to a need for speed. The importance of latency in these types of “connected” interactions becomes paramount. And here is where we see bringing cloud capabilities closer to the consumer – closer to “the Edge” – as a developing model. At OpenNebula Systems, we’ve focused, over the last decade, to bring a simple, yet flexible and comprehensive, Virtual Data Center and Cloud Management solution to the market – in OpenNebula. And as the demands have developed, and user needs have changed, we have continued to innovate. Within the last month, we have released the first version of a prototype solution with cloud disaggregation capabilities. This is the first step in our focus to integrate edge computing, while ultimately maintaining an integrated experience of cloud orchestration and resource management. With this prototype, we have carried out a simple, but illustrative, use case, demonstrating the value that can be achieved by being able to “disaggregate” one’s cloud infrastructure – (for now, we have introduced support for both Packet and AWS EC2 bare-metal containers) – and bringing it closer to the user. and add them into existing OpenNebula clusters as an independent host. In terms of Host Provisioning, for this exercise, we utilized bare-metal containers from Packet. 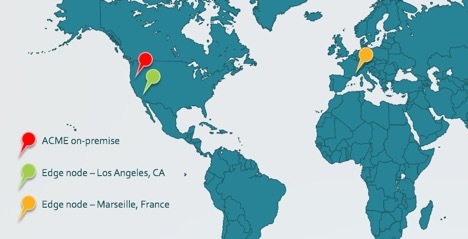 Here we deployed and configured two separate edge nodes – one in Los Angeles, California, and the other in Marseilles, France. Essentially, within a period of 8 minutes and 12 minutes, respectively, we were able to deploy and install two physical hosts on a physical, bare-metal container, and configure each of them as KVM hypervisors. The result it simple. By utilizing OpenNebula’s capability to easily provision a separate, fully functional node on a bare-metal container, such as Packet, that is geographically closer to the end-user, one can achieve a significant improvement in latency. In this case, ACME Corporation was able to reduce the latency for the user in France from 174 milliseconds to 10 milliseconds. And in the world with increased focus on connected data, gaming, and IoT, this will be more and more critical. While this OpenNebula Host Provisioning prototype is an initial step in our focused development in Edge Computing and Disaggregated Clouds, OpenNebula Systems is also heavily involved in building out similar capability in its collaboration with the telecommunications giant, Telefónica, and their Central Office Re-architected as a Datacenter (CORD) initiative, called “OnLife”. Read here for additional details about Telefónica’s “OnLife” initiative. Stay connected with developments at OpenNebula Systems. Don’t forget to join our Newsletter, or reach out to me directly (mabdou@opennebula.systems) for any questions or suggestions. We maintain and nurture a strong Community of Users, and we’d love to hear your feedback and insight. A reminder here that the OpenNebulaConf 2018 will take place in the city of Amsterdam from November 12-13, and we would like nothing more than for you to be part of our team of Sponsors and to take advantage from being an official supporter of the event! 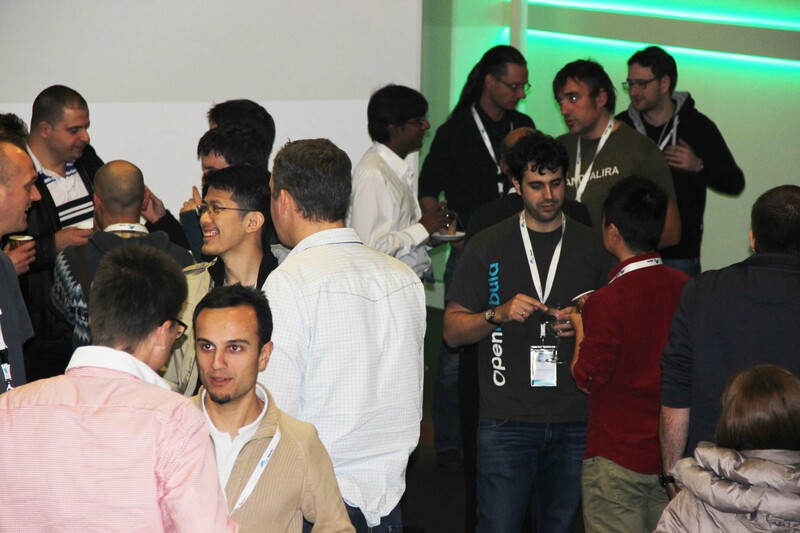 In previous editions of OpenNebulaConf, we offered agendas packed with Hands-on Deployment and Operations Tutorials, Developer working sessions, Networking sessions and talks covering OpenNebula case studies and much more. 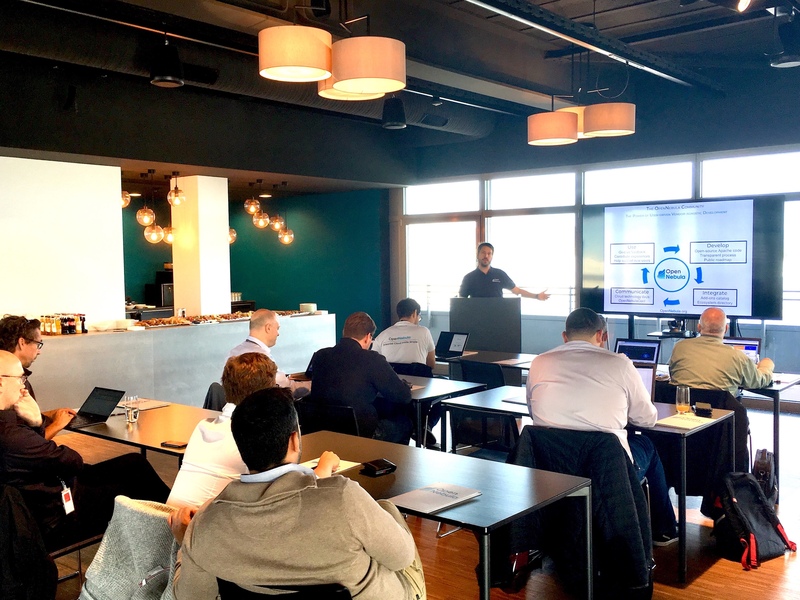 We enjoyed presentations from notable OpenNebula users and industry leaders like Akamai, Produban – Santander Bank, CentOS, Runtastic, Puppet Labs, Cloudweavers, RedHat, Deutsche Post, Unity Technologies, BlackBerry, Rental, Citrix, LRZ, FermiLab, Harvard, Trivago and European Space Agency. Typically, we get attendance from an international audience that is highly interested in the Open Source community, and one that is highly networked. Take advantage, and reap the benefits of sponsorship! Our monthly newsletter contains the major achievements of the OpenNebula project and its community during the month of September 2018. OpenNebula 5.6.1 is the first version which includes “Enterprise Add-ons”, which are extended capabilities available for customers of OpenNebula Systems with an active support subscription. For more details of what is included in OpenNebula 5.6.1, check the Release Notes. We also closed out the month with the Release of our Host Provisioning Prototype! This is a project on which we have been working in order to bring additional flexibility and improved efficiency to data center configurations. And it’s just the first step in OpenNebula’s focus to support the deployment of Edge Computing environments. You can review here the details surrounding this “oneProvision” prototype. We continue to move ahead with OpenNebula 5.8. One of the key features that will be included in this upcoming version is OpenNebula’s support for managing LXD containers (Operating System-level Virtualization). Some of the details and key benefits are outlined in this earlier post. For vOneCloud, we are currently working on vOne 3.2.1, which will incorporate the same functionalities and advances which we included in our release of OpenNebula 5.6.1. Lastly, our push for completeness and flexibility continues to grow as we focus on incorporating Python binding, (in addition to Ruby and Java) within OpenNebula. This section is where we, at OpenNebula, get most excited! As we all continue to work and focus on bringing real value to the market through the OpenNebula platform, one of the key goals we maintain is to foster genuine interest and engagement amongst our Community. So much of what are able to achieve depends on you, the OpenNebula users and contributors. So when we see involvement and commitment across the Community, we know that the OpenNebula project is bound for continued growth. For example, check out this great blog contribution by Inoreader, outlining their step-by-step evolution from a Bare-Metal server architecture to completely virtualizing their infrastructure using OpenNebula and KVM for virtualization, along with StorPool for storage. Additionally, in a tweet earlier this month – both simple and direct – LINBIT highlighted the ease with which one can use the OpenNebula image driver,…and then posted a video demo. The image driver for @opennebula makes #DRBD volumes easily to place VMs on. 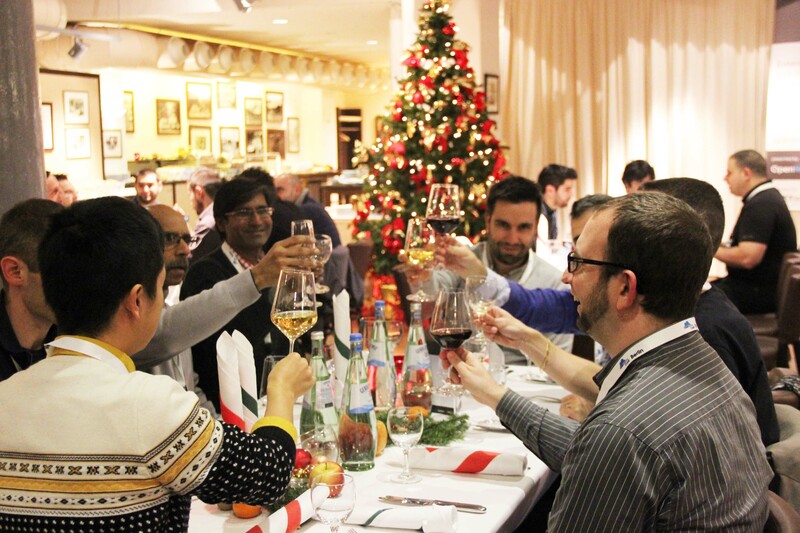 Even beyond the direct impacts of our code, many contributors from the OpenNebula Community provided feedback and insight into a recent European Union publication on how to bring Standards and the Open Source community closer together. And lastly, in the Community space, OpenNebula introduced Michael Abdou, their new Community and Customer Success Manager…read here. In the last week of September, we collaborated with LINBIT as they hosted an OpenNebula TechDay in Frankfurt, Germany! In addition to offering a FREE Hands-on Tutorial of OpenNebula, we saw presentations and demos carried out by LINBIT, Mellanox, and Hystax. Here you can check out how things fared at the Frankfurt TechDay. Keep an eye out for upcoming TechDays, as we try to schedule these sessions periodically throughout the year, in various locations – all free of charge. Or even partner with us to host one of your own!! OpenNebula TechDay info. 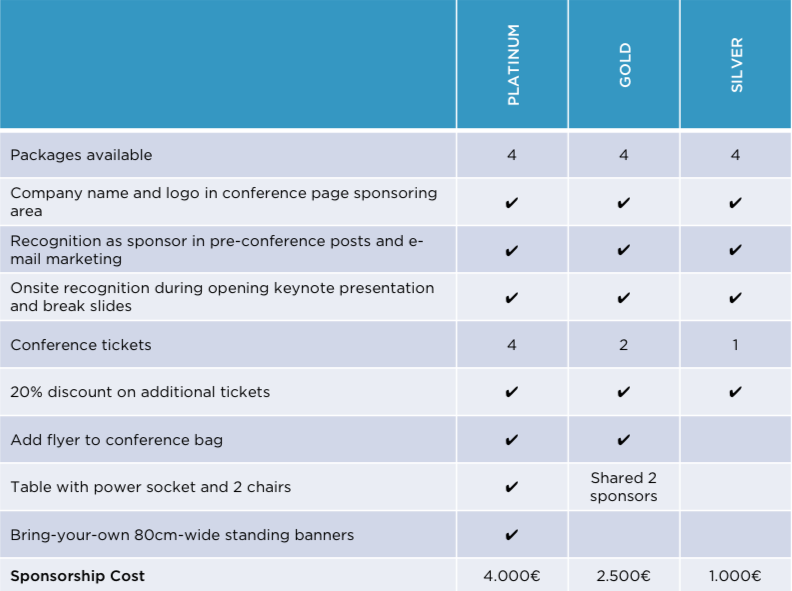 Join our Sponsor Program and be sure to maximize your benefits from the Conference. The OpenNebula Conference 2018 is currently sponsored by StorPool, LINBIT and NTS as Platinum Sponsors and Virtual Cable SLU and ROOT as Silver Sponsors. We would love to see you be a part of our team of sponsors! 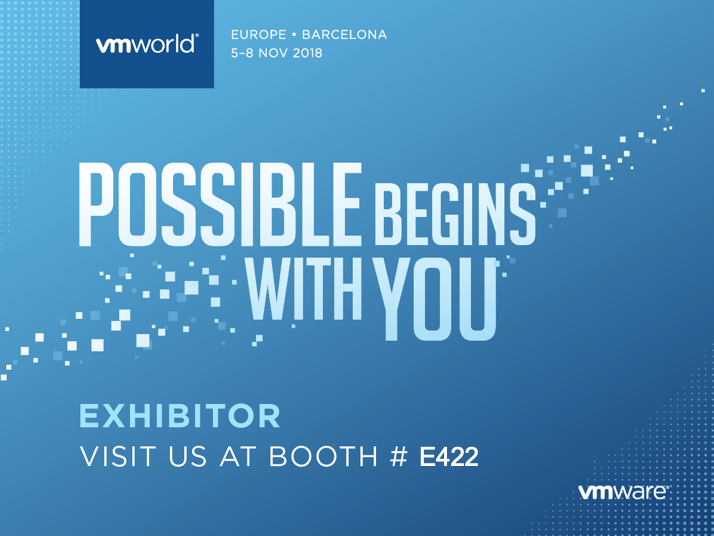 One more item to put on your calendar is VMworld in Barcelona, on November 5-8, 2018. We will be there with an exhibit for all things OpenNebula and vOneCloud. Make sure to swing by booth E422! More to come in October!! Stay connected!